DANVILLE, VA. A three-race stretch-run that will decide the season championships in both the IMSA WeatherTech SportsCar Championship and the IMSA Continental Tire SportsCar Challenge begins this weekend at VIRginia International Raceway (VIR), August 17 – 19, and Mercedes-AMG Motorsport Customer Racing teams are championship leaders or top-three title contenders in the driver, team and manufacturer championships in both series. The weekend’s featured IMSA WeatherTech SportsCar Championship two-hour and 40-minute Michelin GT Challenge at VIR is scheduled to start this Sunday at 1:05 p.m. EDT. Round 9 of 11 GT Daytona (GTD) races on the 2018 IMSA WeatherTech Championship calendar, the Michelin GT Challenge at VIR can be seen live in a split-broadcast on FOX Sports 1 (FS1) and FOX Sports 2 (FS2). Coverage starts this Sunday, August 19, at 1 p.m. EDT on FS1 before switching over to FS2 for the balance of the race at 2 p.m. EDT. International viewers can watch live at IMSA.tv. Mercedes-AMG Team Riley Motorsports finished third in last year’s Michelin GT Challenge and returns to VIR this weekend in the same position in the 2018 GTD driver, team and manufacturer championship standings. Co-drivers Ben Keating and Jeroen Bleekemolen and the Mercedes-AMG Team Riley No. 33 Mercedes-AMG GT3 currently have 220 points in third place in both the driver and team GTD championships. Mercedes-AMG is third in the GTD manufacturer championship standings with 226 points. While the leader in all three GTD championships needs a bad result or two in the year’s final trio of races for the competition to catch them, a good result for the No. 33 Mercedes-AMG GT3 at VIR could bring a major move on the second-place driver, team and manufacturer. The No. 33 drivers and team are just 12 points behind the second-place competitors while Mercedes-AMG is only seven points shy of second in the GTD manufacturer championship. Top finishes for the No. 33 Mercedes-AMG GT3 this season are a race win at Canadian Tire Motorsport Park (CTMP) last month and a third-place showing at the 12 Hours of Sebring in March. The pair of podium results are part of the No. 33 team’s run of six top-five finishes in the year’s first eight races. In the Continental Tire SportsCar Challenge, the No. 46 TeamTGM Mercedes-AMG GT4 of Owen Trinkler and Hugh Plumb took the Grand Sports (GS) class points lead with a third-place finish in the most recent race two weeks ago at Road America. The Road America podium showing followed last month’s breakout victory at Lime Rock Park for Trinkler, Plumb and the No. 46 Mercedes-AMG GT4 team. The victory was the first for the Mercedes-AMG GT4 in North America and the first win for TeamTGM in the IMSA Continental Tire series. With Saturday’s two-hour race VIR and just two more races remaining on the 2018 IMSA Continental Tire series schedule, Trinkler, Plumb and the No. 46 team have 191 points, one ahead of the nearest competitor. The No. 46 is one five Mercedes-AMG GT4 entries competing this weekend at VIR in the top-tier GS class. TeamTGM runs a second car for team owner and driver Ted Giovanis, who co-drives his No. 4 TeamTGM Mercedes-AMG GT4 with Guy Cosmo. Murillo Racing also fields a pair of Mercedes-AMG GT4 in the IMSA Continental Tire series, with Jeff Mosing and Eric Foss co-driving the team’s No. 56 entry and Brent Mosing and Tim Probert sharing the similar No. 65 car. 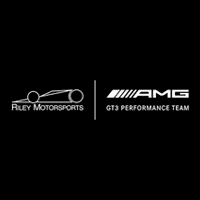 Ramsey Racing, which gave the Mercedes-AMG GT4 its first pole in North American competition at CTMP, is entered at VIR with season-long co-drivers Mark Ramsey and Alexandre Premat. A three-day weekend event, the VIR schedule starts Friday with practice sessions for both the IMSA WeatherTech Championship and IMSA Continental Tire series. A 15-minute IMSA Continental Tire series GS-class qualifying session closes out Friday at 7:30 p.m. EDT. Saturday begins with a final one-hour IMSA WeatherTech Championship practice at 8:35 a.m. EDT that sets the stage for GTD qualifying early that afternoon from 12:25 – 12:40 p.m. EDT. Another Saturday highlight is the two-hour IMSA Continental Tire series race that is scheduled to start at 2:15 p.m. EDT. A 20-minute warmup session for the IMSA WeatherTech Championship gets Sunday’s schedule started at 8:30 a.m. EDT before that afternoon’s two-hour and 40-minute Michelin GT Challenge at VIR that goes green at 1:05 p.m. EDT.